What is List View Threshold Limit in SharePoint Online? 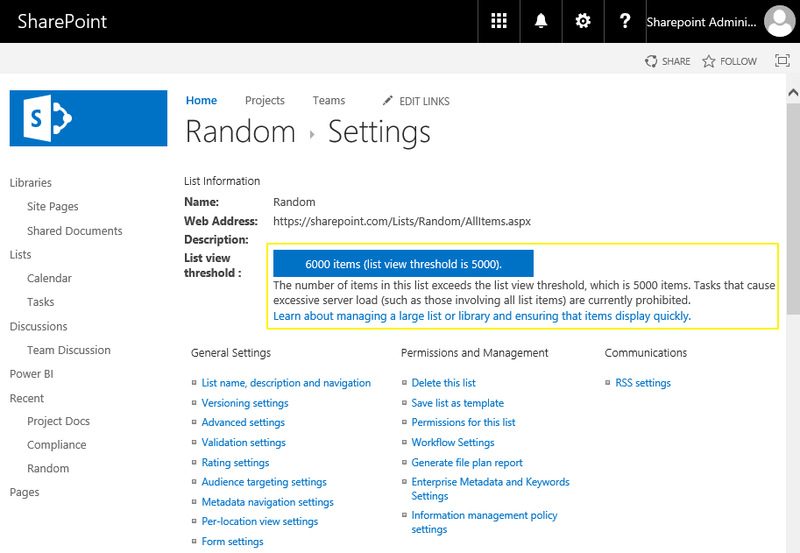 List View Threshold is a limit of 5000 list items in SharePoint online, which can't be exceeded! Is it possible to Change List View Threshold in SharePoint Online? No! we can't change list view threshold in SharePoint Online. The number 5000 is fixed and controlled by Microsoft to ensure better performance in SharePoint Online as its operates as shared tenant environment. If its SharePoint On-premises, You can change list threshold via Central Administration site: How to Increase List Threshold in SharePoint? How to Increase List View Threshold in SharePoint Online? Its not possible to increase threshold limit sharepoint online! SharePoint Online has lookup column threshold of 12. (It was 8 in SharePoint on-premises - before June 2013 CU). Also, when the parent list contains more than 5000 items, then you'll get the error message: "This is a lookup column that displays data from another list that currently exceeds the List View Threshold defined by the administrator (5000)"
I've less than 8 Lookup columns, but still I'm getting Lookup threshold exceed error message. Why? I've more than 5000 items in my SharePoint List. How Do I Overcome threshold Issue? Set filters through "Modify list view" and limit the number of items in the view to less than 5000 to mitigate this issue. You can categorize your list items based on metadata whichever present in the list such as category, department, business function, etc. Archive old list items either by moving to a new list or a folder inside the same list. What's the problem when you Exceed List Threshold Limit? When the list view threshold limit is exceeded, you'll find a warning message in list settings under as List View Threshold: The Number of items in this list exceeds the list view threshold, which is 5000 items. Tasks that cause excessive server load (such as those involving all list items) are currently prohibited." message. Also, when you try to filter or sort column values, you'll see "Cannot show the value of the filter. The field may not be filterable, or the number of items returned exceeds the list view threshold enforced by the administrator" message. How to avoid list Threshold issue in CSOM?